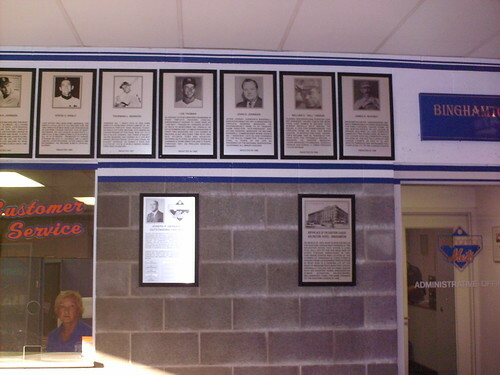 The Binghamton Baseball Wall of Fame. 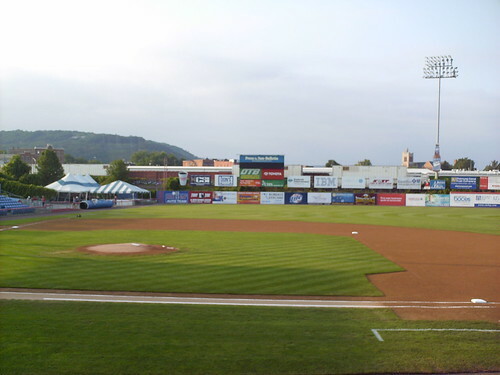 Including the founding of the Eastern League in a Binghamton hotel. 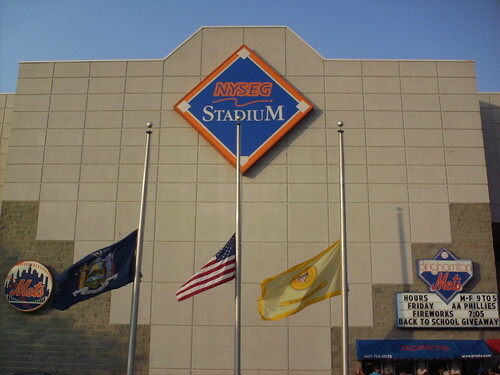 The view from behind home plate at NYSEG Stadium. The view from down the first base line. 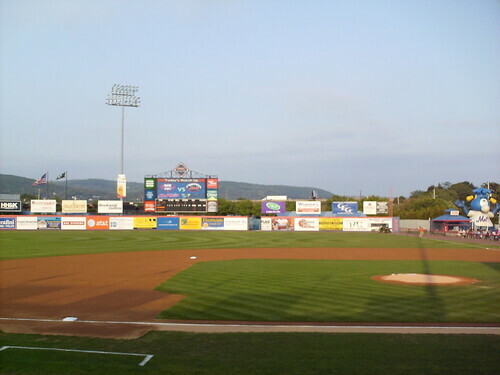 A railroad yard sits behind the stadium, and boxcars sit beyond the fence. The view from down the third base line. 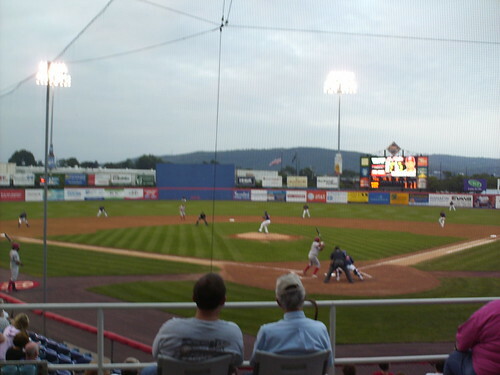 The mountains of New York's Southern Tier sit beyond the fence. 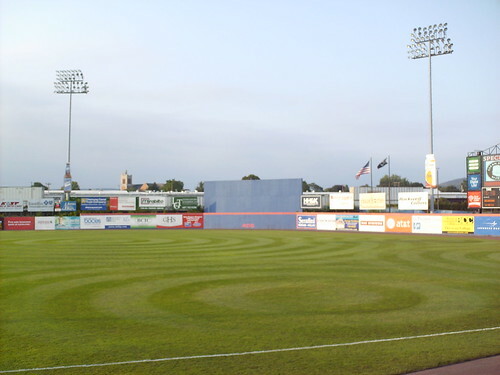 The outfield at NYSEG Stadium. The batter's eye is blue instead of the usual black. 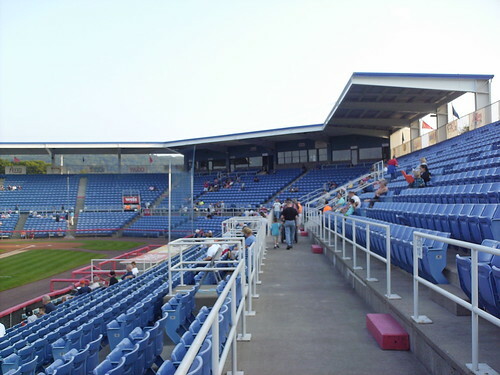 The grandstand, suites and pressbox. 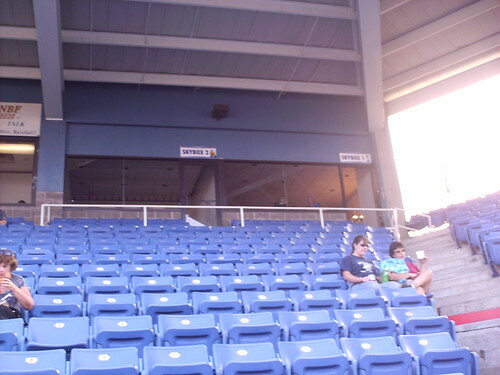 Because the stadium is part of a downtown block, the luxury boxes are only accessible from the front, and must be reached by climbing through the stands. 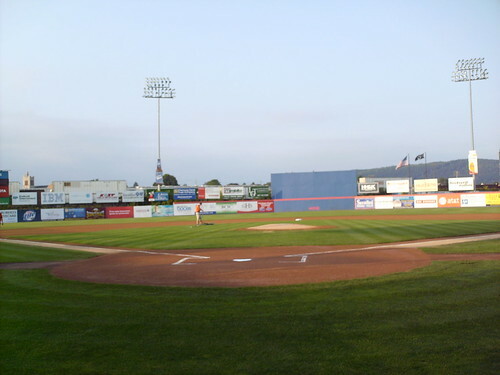 The Binghamton Mets on the field at NYSEG Stadium.